BK1003. 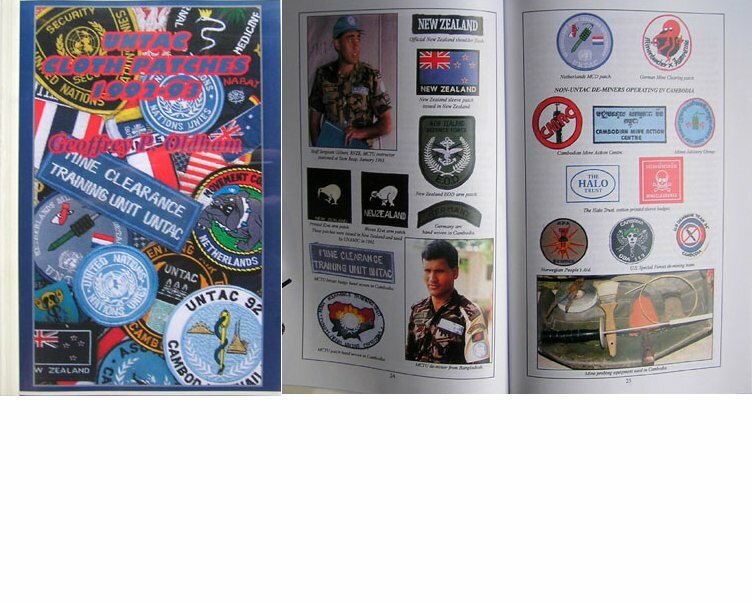 UNTAC CLOTH PATCHES 1992-93 | Military Memorabilia Ltd.
Geoffrey Oldham, with 22 full color pages of patches and photos of the United Nations Mission in Cambodia. Soft cover, 56 pages.